Played a few of these at the Brum guitar show, not long after they were launched and came away very impressed. Fast forward to late last year when a mate left his 720b at my house for a couple of weeks and I started getting twitchy fingers. @bad_alice advertised her 820, a couple of messages later and a meet up was arranged for 11ish this morning at Glasgow Central. Despite Storm Erik’s best efforts (replacing fence panels at 5am, setting off to catch a train north at 6.40 only to find it delayed by 45mins, it stopping at Carlisle and a 2 hour bus journey sat behind 2 gobby know-it-all’s), my long suffering wife and I arrived just before 11. We met in Costa and the guitar was exactly as Suzy had described it. Deal done we shared a few stories and pictures of our guitars - seems we both have similar tastes. A quick re-string with a set of 10’s and I’m really very pleased indeed. It fills the humbucker gap in my arsenal very nicely. The fit and finish is superb and playability is fab. Like that a lot. Good work! I love these Revstars, my 720B is the best guitar I have played. Lovely, congrats! Never get sick of Revstar threads. Nice one, are the frets jumbo or med jumbo? Spec sheet lists them as jumbo. Nice. That looks fantastic. Enjoy it! Quite like the look of those and the simple control layout. like all Yams......they play fantastic and are superbly made. I was gonna make an offer for that before you stole my thunder and bought it! 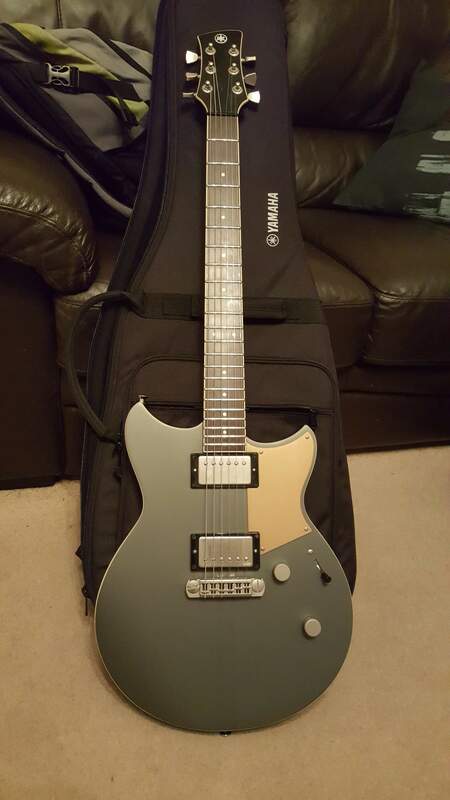 Nice Guitar, I've always wanted to try a Revstar out. Sorry about that. It's really very nice indeed. Given the way I swap and change guitars (apart from my telecaster), hang fire a few months and this one may be available. I have a very bad habit that is positively encouraged by membership of this very forum. Unfortunately I don't have the resources to own all the guitars I want at the same time so for something to come in, something has to go. A Gretsch 5125 went recently that allowed this purchase. It was an absolute pleasure meeting you Dave and it’s terrific to see such a delighted NGD thread for this guitar! Nice...confirms my suspicion that I need a Revstar ! The day after the night before. Woke up this morning and did the usual Sunday morning hour of noodling along with YouTube while Mrs G goes for her run. Also just had an hour or so knocking along with some cd’s. What a damn fine guitar I have here. Lots of great sounds and the dry switch gives some great tonal options too. It’s very comfy, has a great neck and the build quality is superb. Always loved Yams and always fancied a Revstar. I would definitely pull the trigger on an edge bound tobacco burst if they existed which I'm sure they don't. Wish they did the flamey one without the scratchplate. Otherwise lovely guitars. @Dontgiveupyourdayjob NGD thread to follow? This forum makes you do silly things. 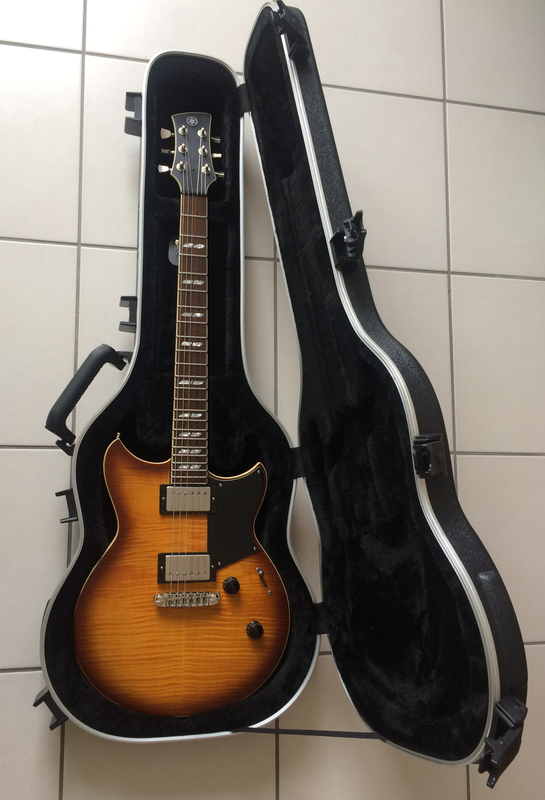 I've never, ever found a Les Paul I could get on with (nearest I've come is a super light weight R7 a mate was considering a while back), but following the R8/R9 threads I found myself regretting the sale of my Studio. I even went as far as trying a few out in shops and watching a couple of for sale threads. This Revstar gets me as close to the LP sound as I need, plus it's not massively heavy and the shape/ contouring make it very comfy on the strap. and what does Dave (@caspercaster) think to it Dave - sure you've had a visit, chat, butty and coffee to discuss it !!!! @guitars4you I am not a Dave! I am a free man! Not been over to Dave's yet, so I haven't had the chance to try it, but hopefully later this week. @guitars4you I shall report back when Jason has had chance to play and fully assess.